In undertaking a comparison, or looking for insights into different platforms one must always establish a base for comparison. Should Apple be compared to Microsoft? Or Google? How about Facebook? Establishing this is the first piece in understanding a comparison, and accurately looking at how multiple companies may be similar or different. What is a prediction market? “A prediction market is a place where individuals can wager on the outcomes of future events.”(1) A correct outcome can earn people money, and an incorrect outcome will cause them to lose it. In the next two articles, we will quickly assess how ZeroSum both complements and differs from other prediction platforms on the market. The first article will cover the potential, challenges and some of the players on the blockchain. The second article will dive deeper into the aspects that we (at ZeroSum) feel are important to look at when assessing similarities to other successful markets like Augur. Despite some high profile prediction market failures like Brexit and the 2017 US Presidential election, prediction markets are widely recognized “to turn individuals’ guesses into forecasts of sometimes startling accuracy”(2) by using “The wisdom of the crowd” to free the population, at large, from the plagues of individual biases. One prediction-based gaming platform in the financial sector, namely in retail FX, has already achieved successful adoption and continues to grow. It has done so by rewarding participants on their inherent skills as traders. ZeroSum has eliminated trading fees and eliminated access to unfair advantages typically rampant in the FX world. By removing high fees, unfair algorithms, risks of trust and preferential access to information, it creates the possibility for the retail trader to learn, experiment and compete against peers. It has created a home for true peer-versus-peer retail FX trading competitions to start — and plans on expanding the capability exponentially in the future. One could support the idea that the full potential of anything is apparent when it is open-source, anonymized, secure and distributed. Built on Ethereum blockchain, ZeroSum will run exclusively on ZFX Tokens. The tokens are being designed to be highly transferrable and demanded with the aim to make ZFX Tokens “the” cryptocurrency for any peer-versus-peer competition and ZeroSum. Naturally, the ZeroSum platform is aiming to be “the” platform for all prediction markets on a blockchain. By enabling 3rd party API support, a Sentiment Engine and giving users the ability to create competitions on anything that has a data feed — the possibilities are near limitless. As it stands, there blockchain based prediction markets on like Augur, Gnosis, Truthcoin and STX do exist but, “have flaws in regards to the alpha signal they generate from their users” and also have limited functionality in regards to the competitions that are available. 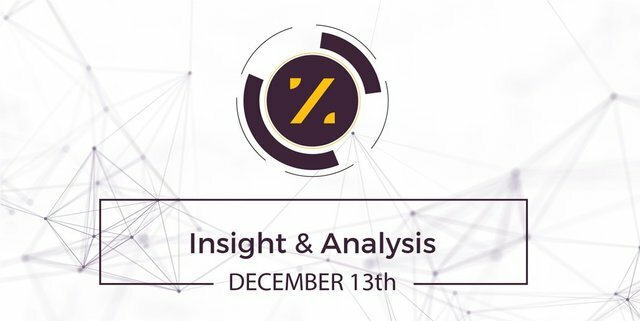 So ZeroSum promises to be the better version of the pre-existing prediction markets — but where does it stand in a preliminary comparison with Augur? In the next article, we’ll dive down and explore this very question. In the meantime — do explore our white paper and other platforms in the market to start your comparison. 1 Peterson, J., Krug, J. Augur: a Decentralized, Open-Source Platform for Prediction Market. https://bravenewcoin.com/assets/Whitepapers/Augur-A-Decentralized-Open-Source-Platform-for-Prediction-Markets.pdf . 2 Mann, A. (2016, October). The power of prediction markets. https://www.nature.com/news/the-power-of-prediction-markets-1.20820 . We are happy to answer any questions below! Hi, I couldn't find the quote you used: “have flaws in regards to the alpha signal they generate from their users” Where was this drawn from?